Will Fracking Impact My Family? 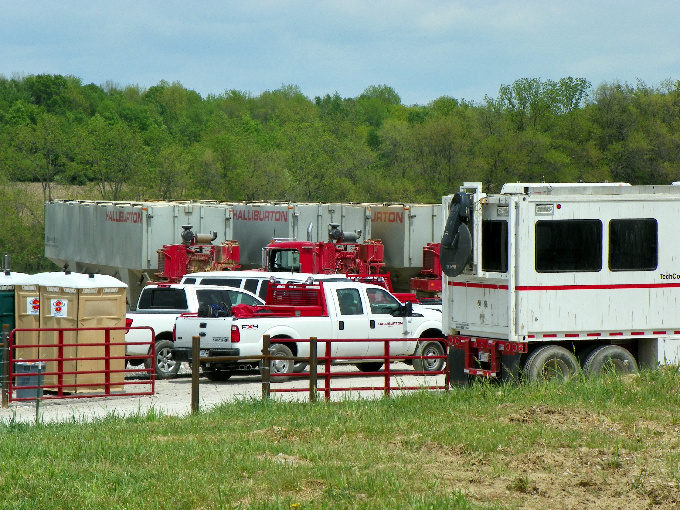 A dairy farm not far from us is the first in our area to begin hydraulic fracturing. This process was developed to extract formerly unattainable gas and oil from rock a mile or more below the surface. Unlike old style wells bored straight down or at a slant, these go down and then proceed horizontally. Using a mixture of water, sand, and chemicals the rock is fractured (hence the name) to release fossil fuels. This is commonly called fracking. I went to look for myself. The bucolic farm is snuggled along gentle hillsides. An Amish buggy went by as I took in the dissonant sight of Holsteins grazing and huge rigs marked Halliburton parked just off the narrow rural road. Drilling hadn’t started. I wondered if fracking chemicals could possibly affect those cows and wind up in their milk. How many of us know where our yogurt once grazed? I’m as energy dependent as the next person. But I wanted to know more about fracking, especially how it might affect my family and community, so I started hunting down facts. My husband and I attended a public meeting held to promote leasing by landowners. There were lots of glossy handouts and a power point presentation. The speakers said that 60 years of gas well drilling had never caused a health or safety problem. I found the same reassuring claims by the oil and gas industry in advertising campaigns and online reports. Friends who’ve already signed fracking leases repeat this too. It seems to me they’re blurring the distinction between decades of experience in vertical drilling methods and the much newer process of fracking. It’s not hard to find incidents around my hometown of older-style wells causing trouble. That includes homes with explosive levels of methane as well as a house explosion linked to inadequate cementing of well casings. Apparently such problems have occurred in both vertically drilled wells and fracked wells. But technically, assertions that fracking is safe are largely true. That’s because industry and government regulatory agencies use the term “fracking” only as it relates to the actual process of pumping fluids into the ground to break apart rock. So when they make claims about fracking safety, they don’t include what happens while drilling, constructing the well, setting off explosions, dealing with blowouts or well fires, storing waste water in open containment basins, vapors emitted from condensate tanks, open flaring to burn off gasses, transporting waste, injecting waste water into deep disposal wells, or at any point in the future when the wells may leak. That’s convenient, because a University of Texas study found that these are the activities actually contaminating air, water, and soil. So both sides are “right” in the fracking debate. The industry is correct when they say that fracking is largely safe because of their limited definition of the word. People concerned about the environmental and health consequences lump all activities associated with the process under the term “fracking,” making their claims of risk correct too. Maybe this is one reason why media coverage of fracking is so confusing. For example, the standard fracking-related practice of disposing of waste in deep injection wells has been linked to earthquakes in Colorado, Oklahoma, Texas, and Arkansas according to a U.S. Geological Survey study. In my home state of Ohio earthquakes have also been linked to this disposal method, although the state continues to accept fracking waste brought in from other states. Last year Ohio injected 12 million barrels of waste deep below her surface. But plenty of media outlets, quoting the same studies, run reassuring headlines like “Don’t worry much about quakes and ‘fracking’” and “earthquake rise, fracking not to blame” even if farther down in the article it’s noted that earthquakes are associated with deep injection wells used to dispose of fracking waste. Those of us who live in areas said to be rich in shale oil are being romanced. Industry representatives hold open houses. Lawyers eager to get a share of leasing money by selling pooled rights do too. I’ve paid close attention at these meetings. The emphasis is mostly on how much money can be made. We’re told that those who get their land drilled first will have the highest yields and the most money. One speaker demonstrated with a straw and a cup of soda, showing that wherever drillers (his straw) first pierced would have access to the most gas (soda) below. He slurped loudly, then asked if anyone thought he’d leave much behind for those who leased their land later. Many participants eagerly signed up. Any concerns raised were quickly soothed. At a meeting held in a rural church we were told that landowners would be left with trees, grass, and a single wellhead providing substantial income for 30 or more years. Big money, restored land–sounds good, right? The promise of a hefty income rising from the ground well below our feet comes at a time when many Americans are reeling from unemployment, poor housing prices, and debt. And all over the country, property owners like small to medium dairy farms are losing their livestock and often their land because they can’t turn a profit. Fracking seems like a life line. But when I talk to people who have already signed a lease many are upset, believing they haven’t gotten as much money as they deserved. Others believe they’ve been lied to about the environmental impact. Surely there are happy lease-holders out there, I just keep running into those who feel they’ve been deceived. At an open house meeting last fall, a conversation between an Ohio property owner and industry representatives was tape recorded. The property owner asked about chemicals used in fracking. He was told, “We don’t put any chemicals down in the ground. We just use regular, fresh water.” Later another industry representative qualified that statement slightly, saying the process uses household chemicals like dish washing detergent. And leases may be misleading. A New York Times review of 111,000 documents showed that most homeowners aren’t aware what rights the industry takes. A majority of leases do not require companies to compensate landowners for water contamination or damages to the land. Even if state regulations force industry to replace contaminated drinking water, not all costs are covered nor are needs of crops or livestock included. Many consumer protection laws do not apply. Some leases deduct costs such as hauling to or from the site. Energy companies can use the property to build roads, store chemicals, cut down trees, run equipment 24 hours a day, and build containment ponds (in some instances covering them with dirt rather than hauling away the waste). Few landowners are fully aware that their property becomes, in essence, an industrial site. Some homeowners’ insurance policies will not cover problems related to fracking. They also may not be aware of a potential loss in property value. But local citizens have very little control over fracking. 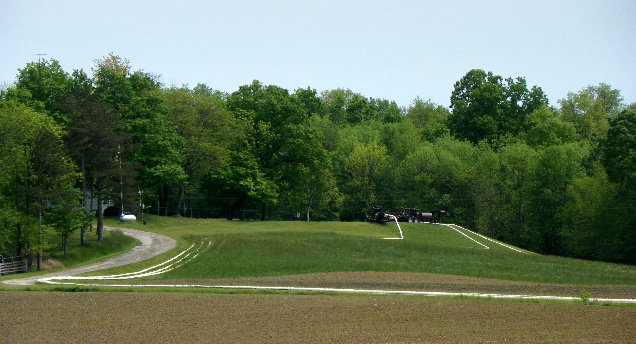 Depending where they live, fracking may occur under cemeteries and in state parks. Some cities as well as colleges are considering lease offers. Despite regulations that normally zone residential areas apart from industrial areas, drilling can take place near homes and schools. Residents in Colorado, Texas, West Virginia, and elsewhere are advocating for stronger regulations to protect schoolchildren from the noise and dust generated by these sites. In some areas drilling sites are only required to be 350 feet from schools and 200 feet from homes. (In New Mexico, one school playground is 150 feet from a well.) No matter how vehemently citizens object, the ability to pass local ordinances regulating gas and oil producers can be superseded by state or federal regulations. This provides the industry rights normally not allowed under the law. For example, in 38 states you can’t say no to fracking on your land if others in your area have already signed leases. It’s called by all sorts of names such as “mandatory pooling” or “compulsory integration.” This means a horizontal drilling line can run under your property whether you want it there or not. It’s really eminent domain by private enterprise. Such laws make it easy for gas and oil representatives to tell people they might as well sign up, because underground reserves will be extracted anyway. That’s the reason people we know are signing leases. That there’s no legal recourse shocks some homeowners when drilling begins. For many of us, fracking operations (called “plays”) seem like a distant threat. But they’re taking place not only in rural areas but cities, suburbs, and park lands with several hundred thousand new wells scheduled for drilling in the next few years. We also heard lots of talk about how much good this gas and oil will do to boost the local economy and help our nation to get back national energy independence. These are laudable goals. I’m not sure they’re more than optimistic projections. Any talk of jobs is likely to generate enthusiasm in our still flagging economy. Those of us living in shale oil areas have been told that an employment boom is around the corner. In Ohio we’re assured that our state will see 65,000 jobs and $3.3 billion in wages within two years. But analysis of data from states already experiencing a fracking boom finds only a modest rise in employment, even when factoring in supply chain jobs and increased spending by workers and landowners. Looking more closely at the numbers, it’s clear that the majority of the energy paychecks are going to out-of-state contract workers who handle drilling and hauling. They don’t have the most enviable jobs. 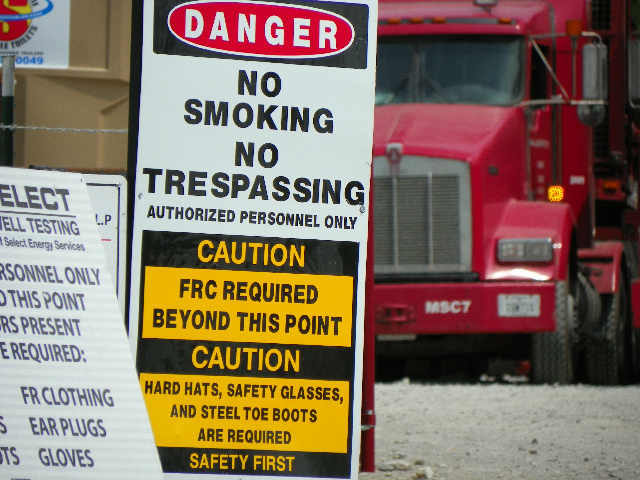 Oil field workers are exempt from certain safety rules, leading to a higher rate of accidents than other industries. In one state alone, police found that 40 percent of the 2,200 oil and gas industry trucks inspected were in such serious disrepair they were taken off the road. The Centers for Disease Control and Prevention reports that fatality rates for oil workers are seven times the national average. It costs in city services as well. Police have reported increased calls in some areas due to the surge in temporary workers associated with drilling. And first responders such as fire fighters and paramedics may not have the equipment, training, or funds to handle new perils that come with drilling and disposal operations. Maybe this is the price we have to pay. After all, we’re told that fracking is a reliable means to achieve energy independence. I hear lots of these talking points repeated in meetings and in print, often along with some patriotic fervor tossed in for emphasis, but it isn’t easy to figure out energy facts in all the hubbub. As a concerned parent and citizen, I’m still trying to sort it out. Here are some things I’m mulling over. The U.S. exports more gasoline than it imports, so energy independence isn’t as simple as the “drill, baby, drill” signs I see in my community. And shale oil, which can be extracted along with natural gas from the fracking process in some areas, is more expensive to extract and refine than crude oil. But most of the energy generated by fracking comes in the form of natural gases and liquid gases such as ethane, propane, and butane. Over the last ten years this industry has spent 20.5 million dollars on donations to Congress and 726 million dollars on lobbying to continue steering subsidies toward fossil fuel, keep regulation minimal, and boost incentives. Government policy decisions are locking in tax dollars for years to come on natural gas incentives based on industry and Wall Street speculation about the amount of gas that can be extracted. It will cost 700 billion to convert just some of our coal-fired plants to natural gas, a pricey venture when estimates of these reserves keep dropping. At the same time, reports from financial and energy sectors indicate such speculation is shaky. Huge investments made in leasing and supplies are not returning profits as projected. The U.K.’s Financial Times called it the next economic bubble, comparing it to the financial disaster caused by real estate financing. For some companies, such as Chesapeake Energy, the bubble may already be bursting. Government and industry continue to insist that a boom is on although a well-by-well analysis notes that gas production is much flatter than hyped and “the gold rush is over.” The number of drill rigs operating in North America continues to fall and production per well, on average, declines by 44 percent per year compared to 23 percent for wells in traditional gas fields. I came home and looked it up. All sorts of huge foreign companies are buying up rights. For example, the Australian company BHP Billiton bought 4.75 billion worth of shale assets in Arkansas, the French company Total will pay 2.25 billion for shale assets in Texas and 2.32 billion for assets in Ohio, and the Chinese firm, Sinopec, is spending billions to scoop up assets across the U.S. from firms like Devon and Chesapeake. Selling these assets is, of course, the prerogative of any company owning them. Obscuring the truth about it to landowners before they sign the leases doesn’t seem to be a priority. The fracking boom (or bubble) isn’t limited to the U.S. It’s taking place or about to in Canada, Argentina, China, Mozambique, Russia, Poland, Israel, Australia, and elsewhere. We also attended public meetings run by several area groups hastily formed to oppose fracking. They brought speakers in from across the state and beyond. I listened to Joe Logan, a representative of the Ohio Environmental Council, explain how fracking-related activity can affect the food we eat. His charts showed that heavy metals and chemicals migrate into air, soil, and water. These contaminants can diminish crop yield, affect the health of livestock, and imperil organic certification. He noted that current laws are not sufficient to protect the food supply or food producing areas from the effects of fracking. I listened to Doug Shields, former member of the Pittsburgh City Council, explain how fracking-related activity is exempt from major environmental laws that currently protect the public. The oil and gas industry does not have to comply with key provisions of the Safe Drinking Water Act, Clean Air Act, Clean Water Act, Superfund Act, Resource Conservation and Recovery Act, the Environmental Policy Act, or the Emergency Planning and Community Right to Know Act. A local man stood up with a jug of brown water from his once clear well. Since his land was fracked the water has been foul smelling and murky, although state officials told him it was okay to drink. Another woman said brine was dumped on a road by her house and when she paid to have it tested it was found to contain chemicals associated with fracking, although state officials declined to investigate. I talked to many other people at these meetings: college students, farmers, retirees, mothers with small children living near active fracking sites. The information they shared was alarming. Here’s a little of what I’ve been able to confirm. Each fracking operation takes 1.2 million gallons to 5 million gallons of water, sometimes more. Each additional time a site is fracked more water is required. Water stress (an imbalance between water use and water resources) is fast becoming an alarming global issue. When water is withdrawn from natural sources for drinking, irrigation, and other typical uses it normally finds its way back into the global water supply. But a substantial portion (15 to 40 percent) of the water used in fracking operations is left deep in the ground. What does come back up (called “flowback” as well as “produced water” which naturally occurs in shale) is often put in deep injection wells for long-term storage. This method not only edges up the potential for earthquakes, it also takes much-needed water out of planetary circulation. A 2011 Congressional report lists 750 known fracking chemicals in order of most common usage. Here’s a partial account of those used in highest amounts. Some of these chemicals are indeed similar to chemicals used around the home. But a 2011 analysis found that 25 percent are carcinogens; 37 percent are endocrine disruptors; more than 40 percent can impair the immune system and nervous system; and three-quarters can irritate the eyes and lungs. It’s important to remember that some chemicals are toxic in concentrations much less than one part-per-million and the synergistic effect of most chemicals is largely unknown. The fluid that comes back up also contains ingredients that didn’t go in. This means naturally occurring matter such as heavy metals, volatile organic compounds (including benzene, toluene, xylene), radioactive materials (including lead, arsenic, strontium), even acidic microbes. It also means chemical compounds created by the reactions of chemicals during any stage of the process. Claims of air, ground, and water pollution due to fracking-related activity are often dismissed by industry and government officials because some contaminants are considered “naturally occurring.” And let’s not forget the water’s salinity. Fracking wastewater has two to three times more salt than sea water and more than 180 times the level considered acceptable to drink by the EPA. Although the industry insists that all chemicals used in fracking are on the record there are still rules in place allowing them to claim chemicals are proprietary or to disclose what’s used only after the drilling has been completed. In several states including Pennsylvania and Ohio, physicians are bound by a “gag rule” which prevents doctors from sharing information about symptoms, diagnoses, and disease clusters related to fracking chemicals even with other doctors and public health officials. Some doctors say they’re not sure if the laws permit them to inform patients either. Frightening stories abound, like the one about a nurse treating a gas field worker whose clothes were drenched in chemicals. She fell ill herself. While she was in ICU with multiple organ failure the worker’s company refused to identify those chemicals. Turned out that story was true. (Her state of Colorado now has forms to get that information although doctors are still bound by non-disclosure rules.) Limited information hampers the ability of medical practitioners to link health problems to environmental contaminants. How do these and other toxins linked to fracking-related activity get into the environment? Here are a few routes. Leaks and spills during transportation, mixing, or other fracking-related activity. The industry reports millions of gallons spilled in one state alone. Liners that leak or burst, spilling fluids into the soil. Birds and other wildlife are known to be affected. Exhaust from diesel trucks and diesel generators running day and night. Flaring of gas (burning into the air), venting of gas (directly releasing into the air), as well as air release via dehydration units and condensate tanks. 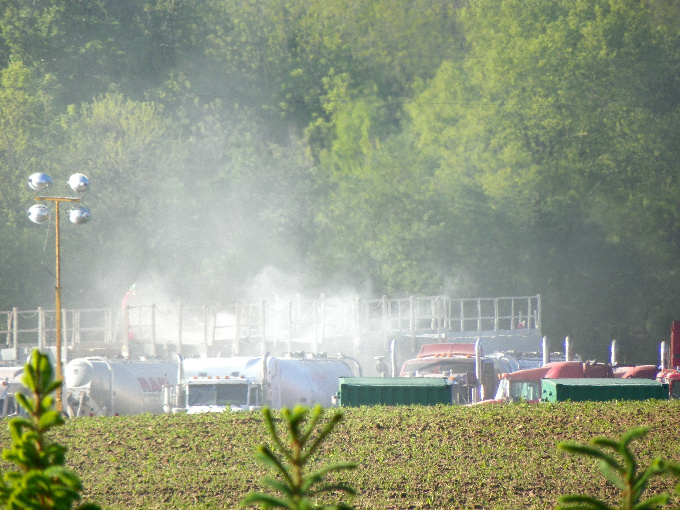 Evaporating unknown quantities of chemicals into the air from open containment “ponds” of fracking waste. Misters often spray the liquid in the air to speed up the process. This is standard across much of the industry. Contamination of ground water at depths used for drinking water, typically caused by failures of well casings but also possibly due to increased permeability of rock layers. Inadequate treatment of waste water at sewage plants. Waste water released into surface bodies of water. Spraying treated fracking brine on roads to control dust or melt ice, a method approved by Ohio EPA and used in many other states although the U.S. EPA advises against this practice. Burning natural gas itself is cleaner than other forms of fossil fuel, as long as larger environmental costs of the energy-intensive and toxic process of fracking aren’t added to the equation. In fact a Cornell study concluded that as much as eight percent of the methane in shale oil leaks into the air due to fracking, twice the amount released by conventional gas production. Since methane is a far more damaging greenhouse gas than CO2, researcher Robert Howarth concluded that shale gas is less “clean” than conventional gas, coal, or oil. Studies released by the American Petroleum Institute and American Natural Gas Alliance show much lower methane emissions. Reports and research funded by the gas and oil industry tend to find results more favorable to that industry, commonly leading to disputes over findings. For a variety of fracking perspectives, check out YouTube. You’ll find plenty of videos presenting the industry’s viewpoint, as well as stories of people living near fracking sites, and this quasi-humorous skewering of what’s being called an industry-wide cover-up of fracking dangers. It’s hard to find footage simply showing what a fracking operation looks like, but here’s one filmed by a Penn State extension service. I went back to take another look at the dairy farm near us, now being fracked. The area was covered with heavy equipment. A few employees outfitted in fire retardant suits, masks, and hard hats worked in the distance. The quiet morning was filled with noise. Gray dust rose in the air and my throat burned. When I set out to find out all I could about fracking I didn’t anticipate such disturbing information nor could I have known fracking would soon intrude on our lives. I recently learned that fracking leases have been signed within sight of us to the west, north, and south. I’m concerned about our land where our cows graze and our chickens scratch. I’m concerned about my family’s health. And I’m wondering if you’re concerned too.